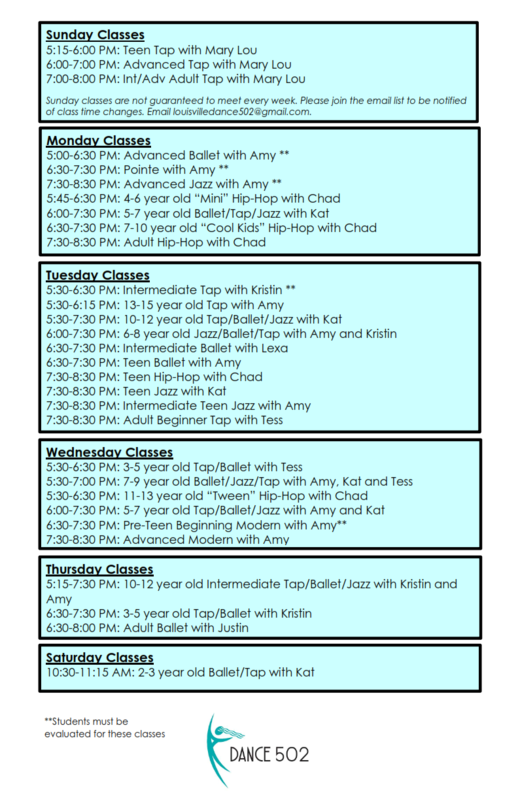 All students in Jazz, Pointe and Modern MUST take Ballet. 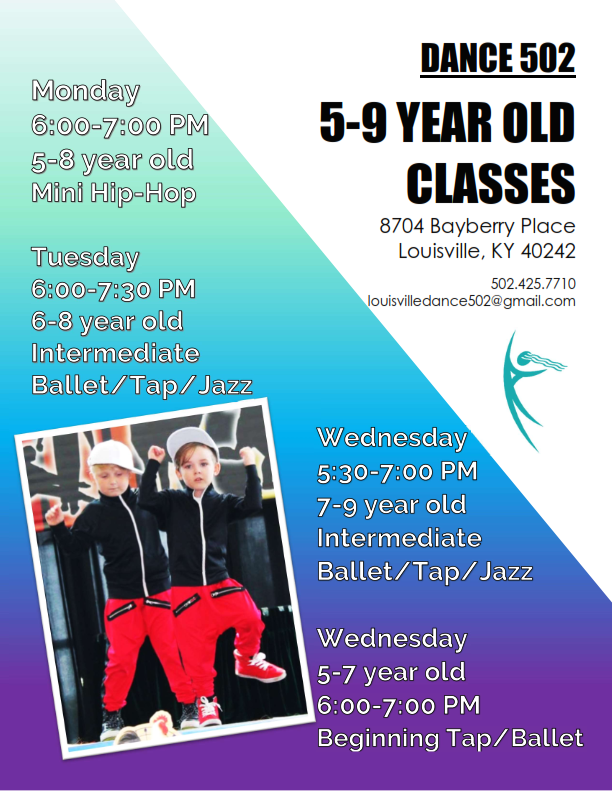 This applies to all ages and levels except for the Adult classes. 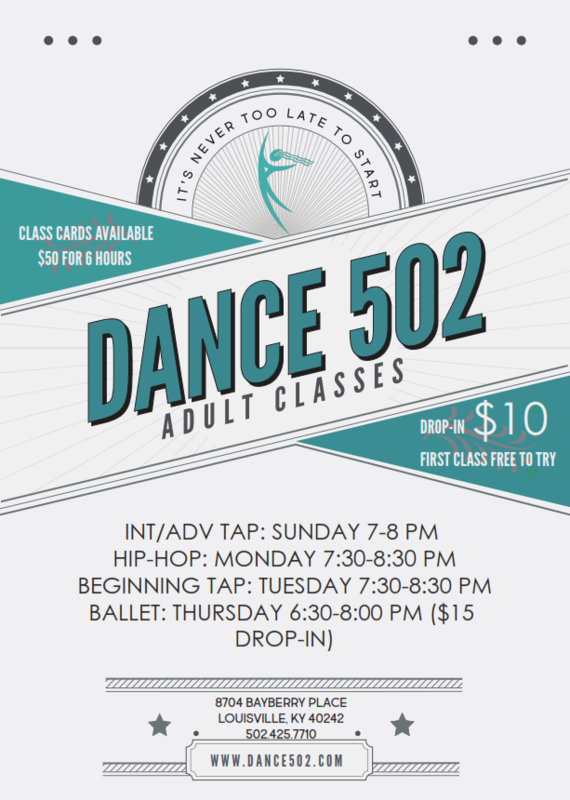 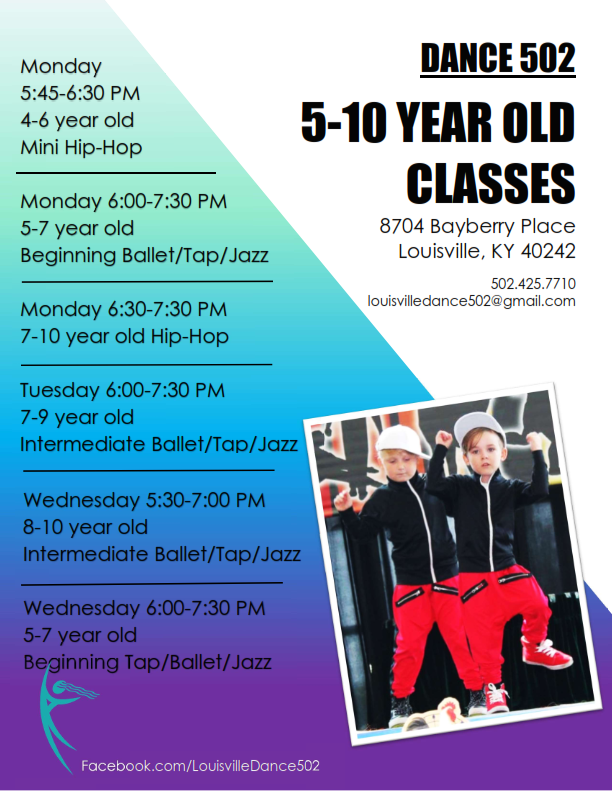 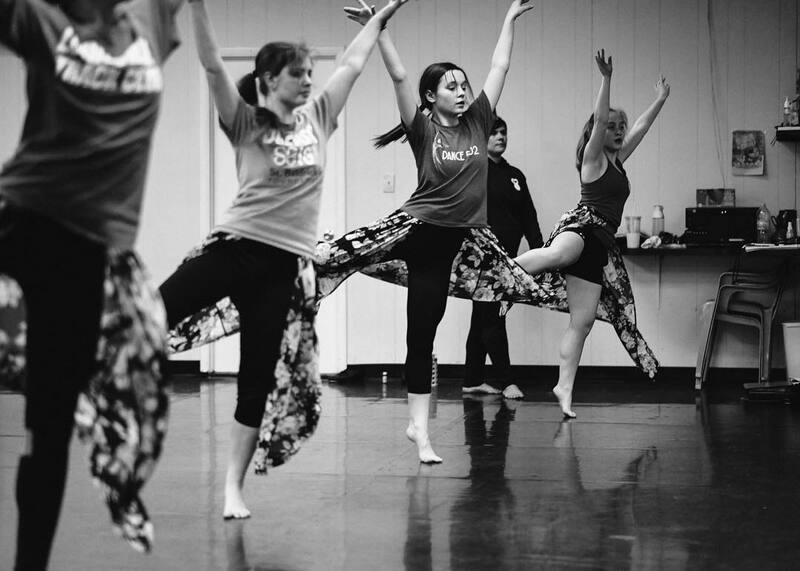 Please call 425-7710 or email louisvilledance502@gmail.com ahead of time if you wish to try a class!